Bevco Ergonomic Seating's new ErgoLux Backless Stools will change the way you think about stools. These visco-elastic soft polyurethane stools not only provide functionality, but you'll be pleasantly surprised at the comfort level and attractive look of these stress-relieving seating solutions. The ErgoLux line of stools has been manufactured in a way to adjust to your body's distinctive shape, weight, and temperature. The seat provides long-lasting ergonomic support with its 3.5" foam and puncture-, water-, and stain-resistant polyurethane cover. 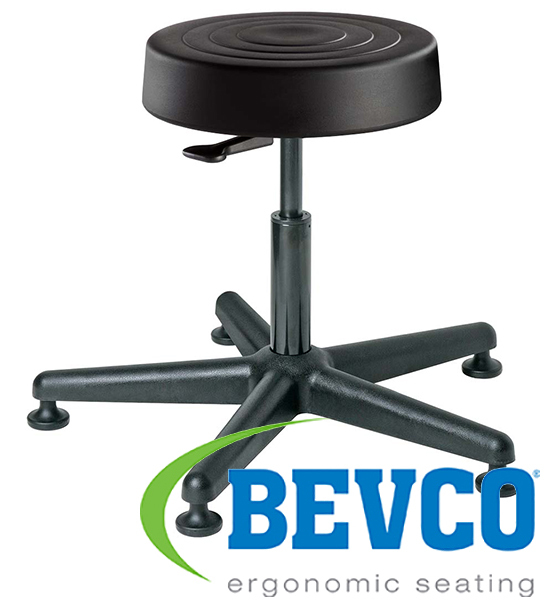 To place an order for a Bevco ErgoLux Backless Stool, or any other Bevco Ergonomic Seating product, please visit QSource.com. You may also send questions or order inquiries via email or our Web site form and by calling us at 800-966-6020.